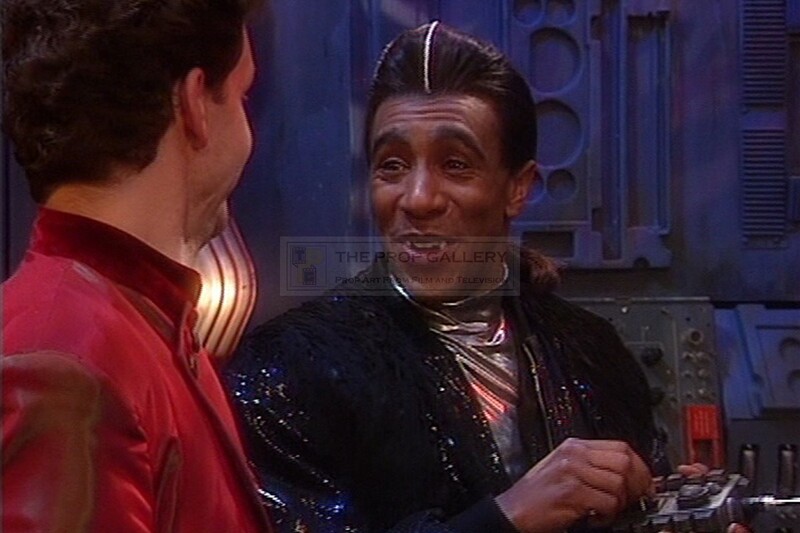 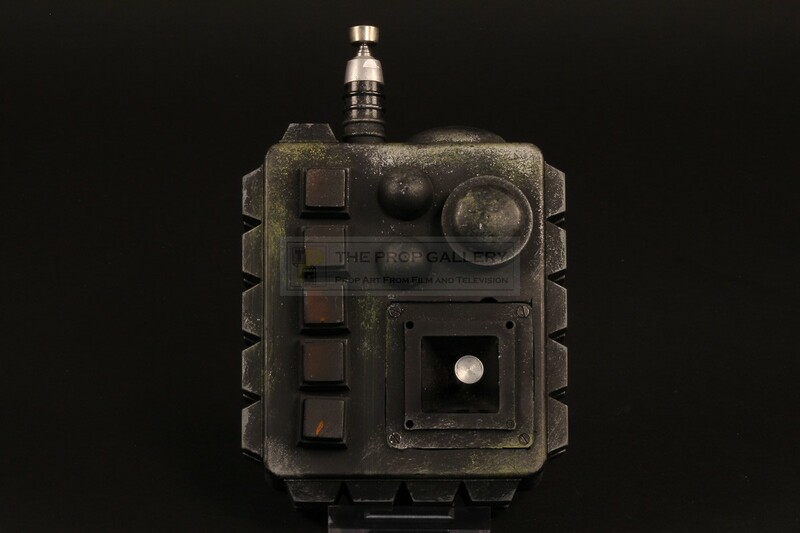 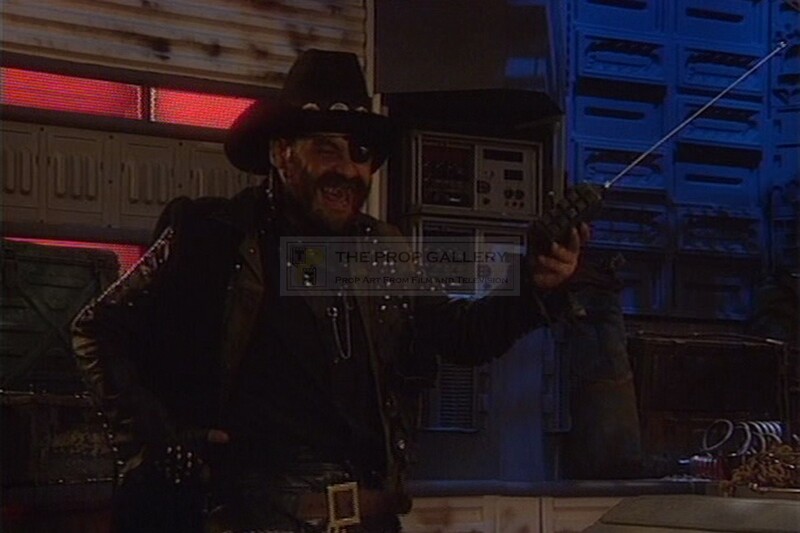 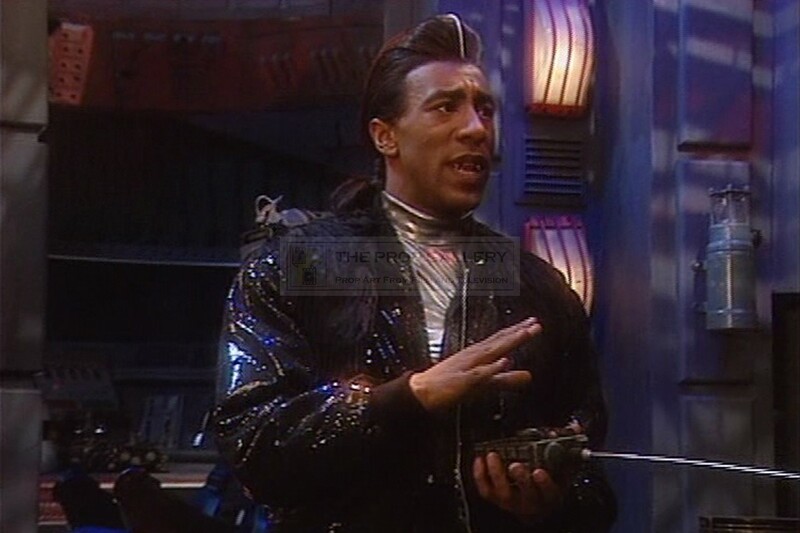 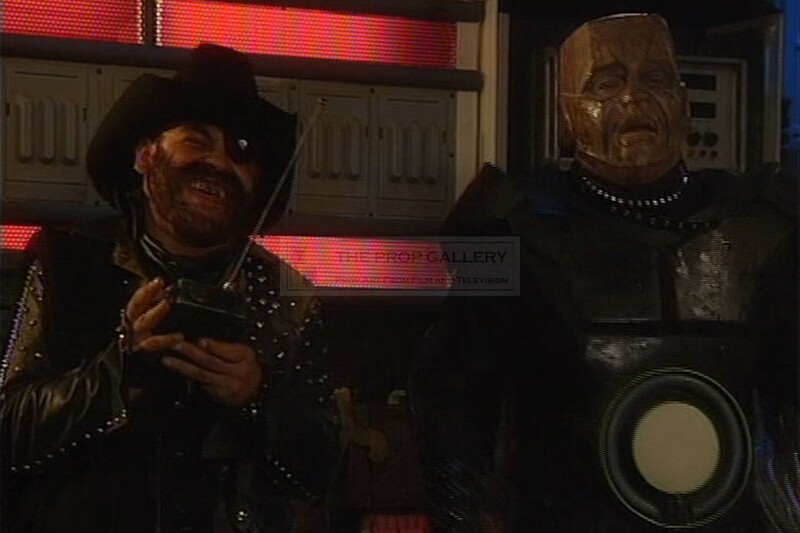 An original prop used in the production of the BBC science fiction comedy series Red Dwarf. 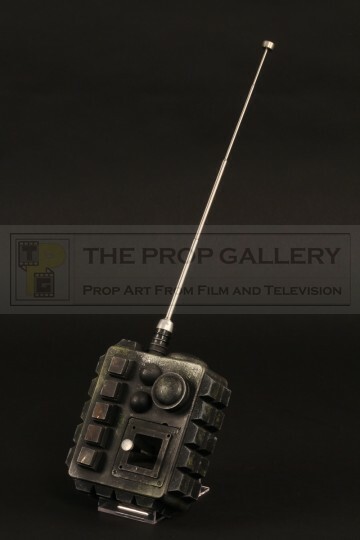 This remote control was built by the BBC Visual Effects Department and used on screen by Craig Charles as Low Lister to control his normal counterpart in the series five episode Demons & Angels. 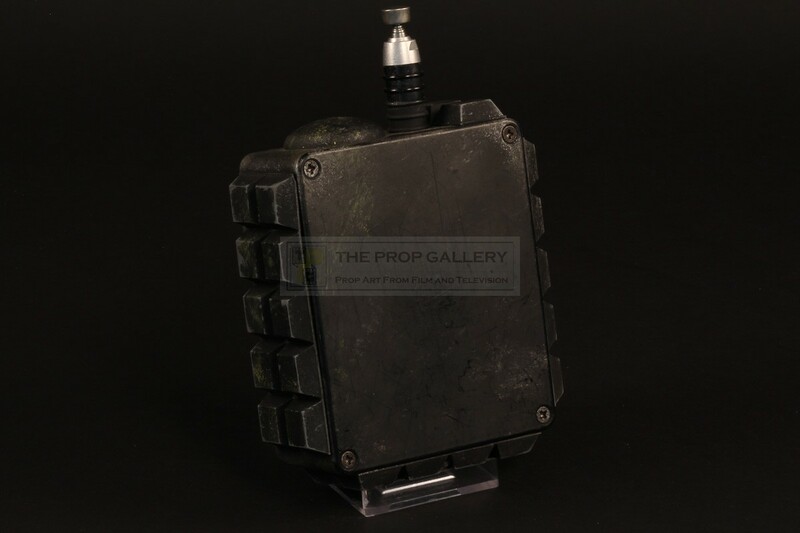 The prop is constructed from a plastic shell which is detailed with rubber and plastic parts and a weathered paint finish, the front features a moving joystick with five buttons, one being functional to light the others this powered by a battery pack concealed within, to the top is an aerial which extends in the traditional manner. The same remote can also be seen used by The Cat (Danny John-Jules) at the end of the episode. 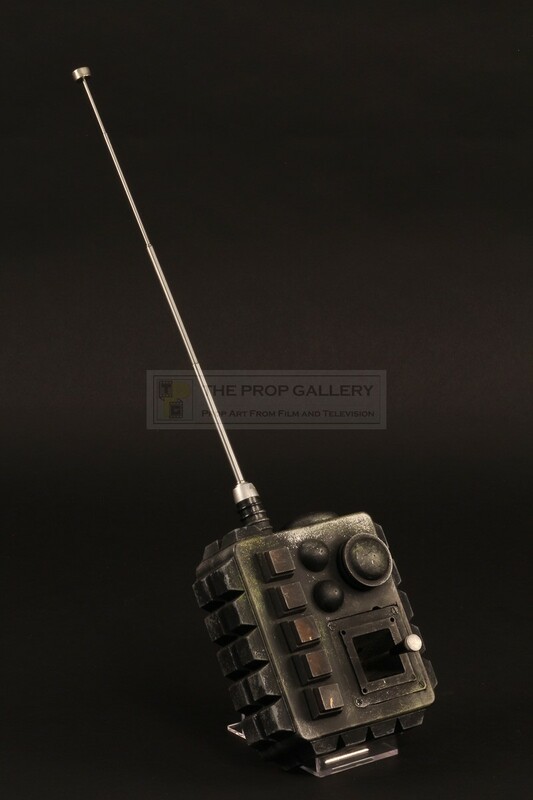 The remote measures approximately 7" x 4.5" x 2.5" and remains in excellent production used condition, the rear of the prop can be unscrewed to reveal the wiring and battery pack with the original batteries still present, wiring is untested but believed in working order. 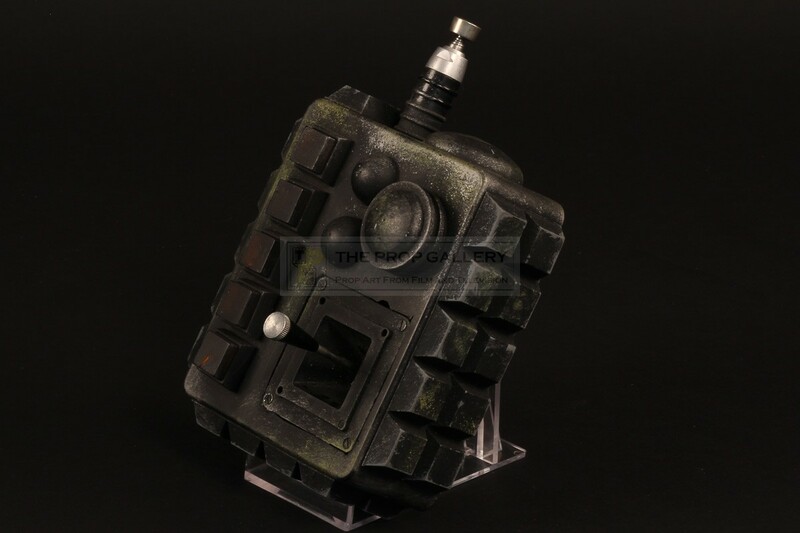 A unique and highly displayable artefact from this cult science fiction series.